Immerse yourself in legal marketing tips, strategies and techniques from the experts and your peers. Each video in our Legal Marketing Bootcamp library, with accompanying materials, will teach you about marketing your practice including how to do it right – and wrong. Find out how marketing is not just about promoting your practice, but also about providing great customer service to keep your newly gained clients coming back. 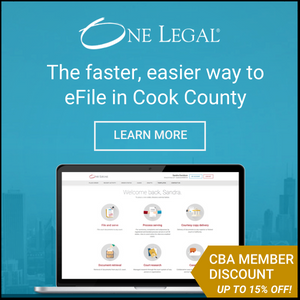 You can earn IL MCLE and Professional Responsibility Credit for this day-long course by registering and watching online or CBA members can log in and watch individual segments for free (no IL MCLE or PR credit).